My brother and his gang were up last weekend. It almost didn’t happen as the kiddos kept getting sick. Antibiotics and delaying the visit for a day allowed the weekend to happen. We all had a great time–ice skating, eating, spectating an indoor soccer game, and IKEAing. Now my nephew happens to have life threatening allergies, so I have to re-think reaching for the butter, the milk, the peanut butter, or any of the soy alternatives. I wanted to make a special dessert for my nephew. He is getting rather tired of Oreos, (He can eat them), grapes, and fruit sorbets for his desserts. SO, I sat down with my cookbooks and started looking. BINGO! and it happens to be one of my favorite recipes. 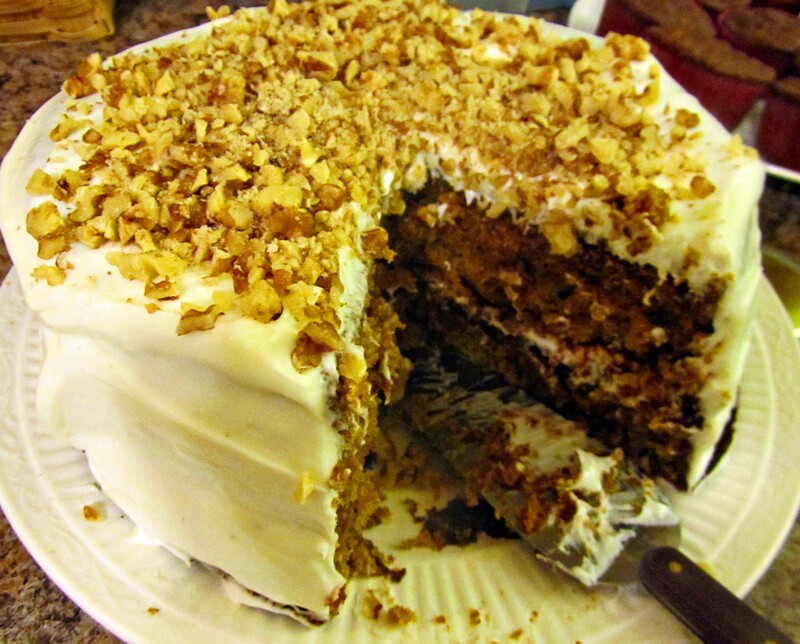 Carrot Cake for Company is my version of a recipe from “The Silver Palate”–one of my favorite cookbooks of all time. Now motherhood is the invention of necessities, so I grabbed my cooked, purreed, and strained, handy-dandy jar of carrot baby food, and continued making my Carrot Cake for Company. 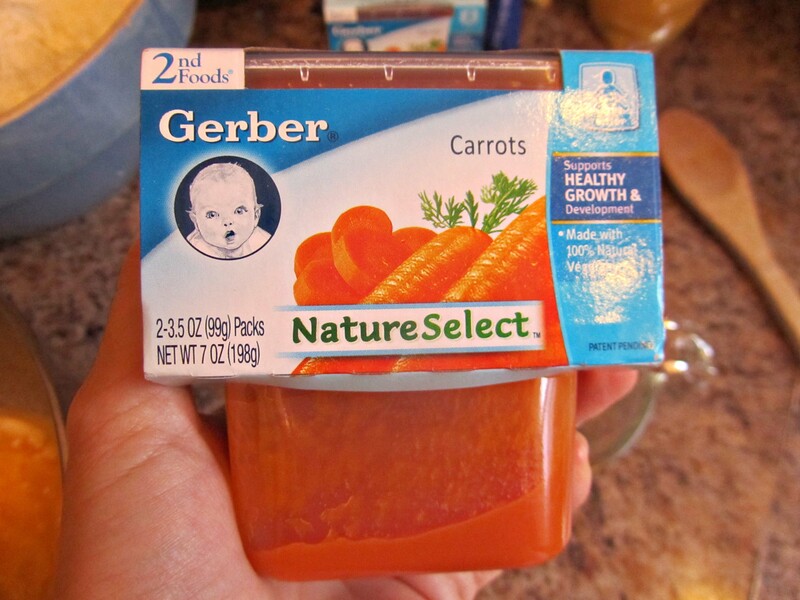 I know that I have mentioned this before, but in case you are tuning in for the first time. . . . What is in baby food? Basically, all of the good stuff and none of the bad stuff. Check out the label below. Carrots and water. 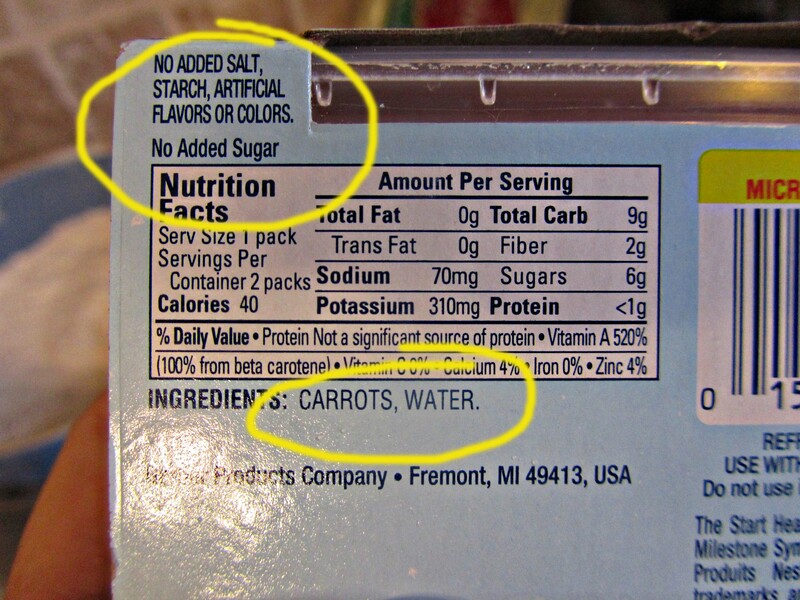 I can pronounce and identify both ingredients–unlike the monoprotodiglicerideatons and capacioxyhydronucleides I have seen on other labels. 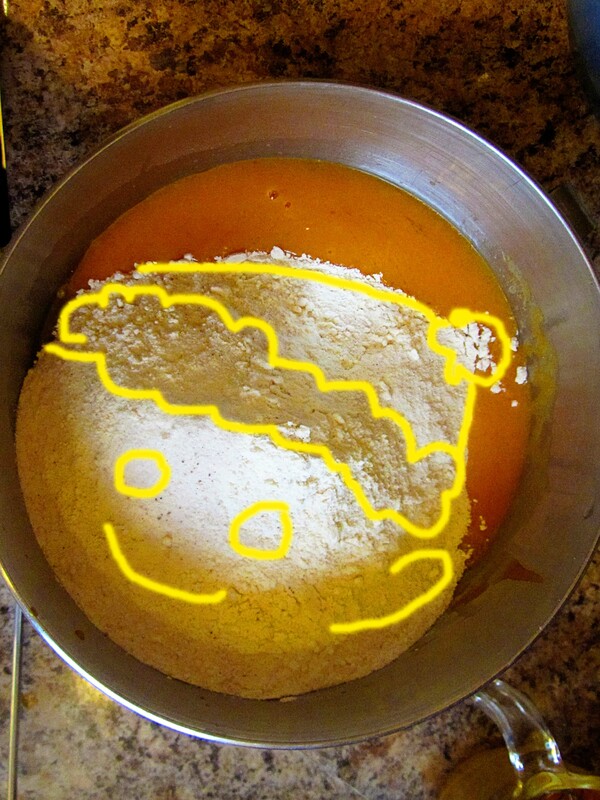 Let’s cook up some Carrot Cake for Company. 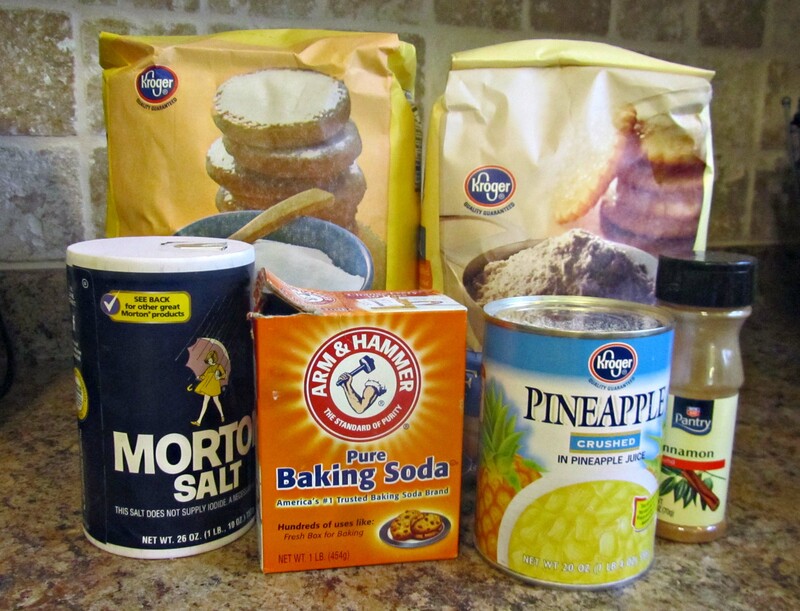 Here are some of the ingredients you will be needing to make Carrot Cake for company, but before we start mixing and stirring and humming and blending, you need to do two things. Preheat the oven to the usual 350 degrees. Get out a package of cream cheese from the refrigerator to soften. It is true that my nephew can’t have the cream cheese frosting, but I can serve it to the rest of the troops. 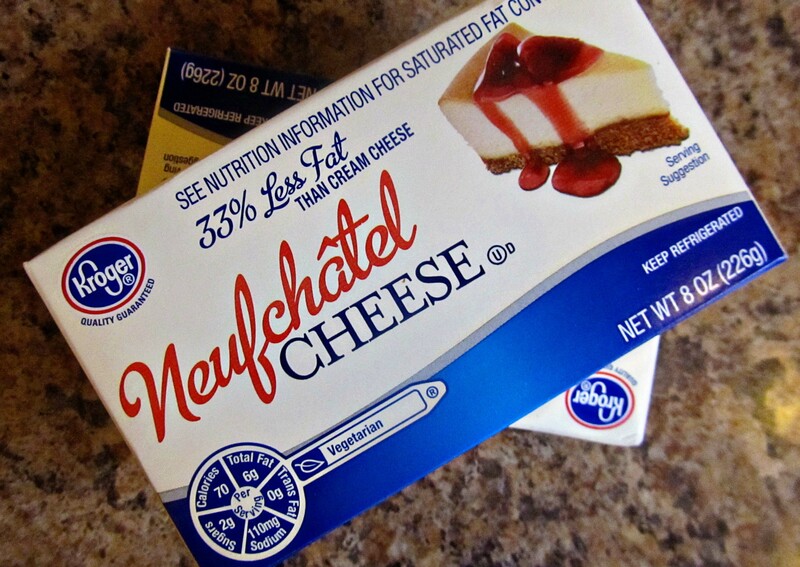 I had Nuefchatel cheese in my frig because it boasts having 1/3 less fat that regular cream cheese. I find the taste delicious, so I have been using it. Aside from having a “vogue French” name, what is the stuff? Cream cheese repackaged under a new name? You can think of Nuefchatel as a type of cream cheese with a fancy, French name. Whatever type of cheese you use for the frosting, it needs to soften to room temperature, so get it out of the refrigerator at the beginning–or you will forget. You read that correctly, that is a TABLESPOON of baking soda. 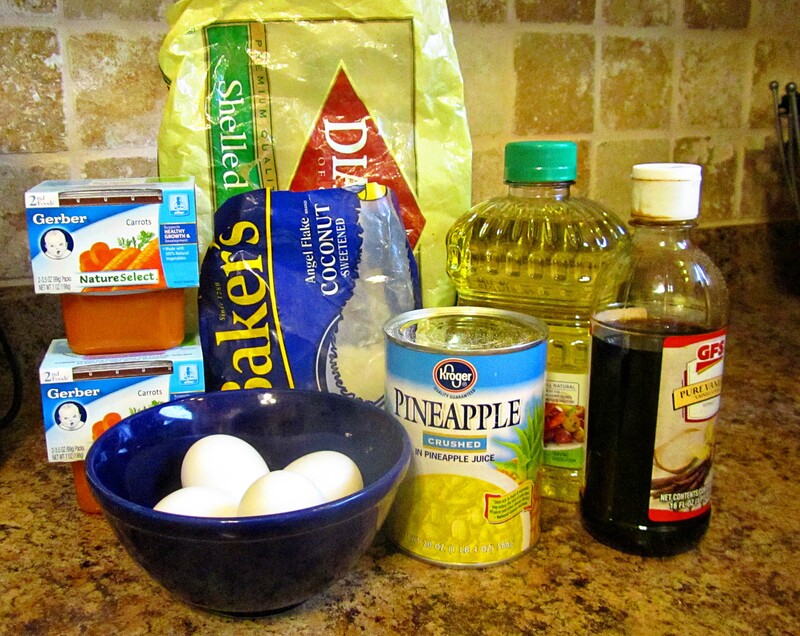 Sift all of these ingredients together into a bowl. 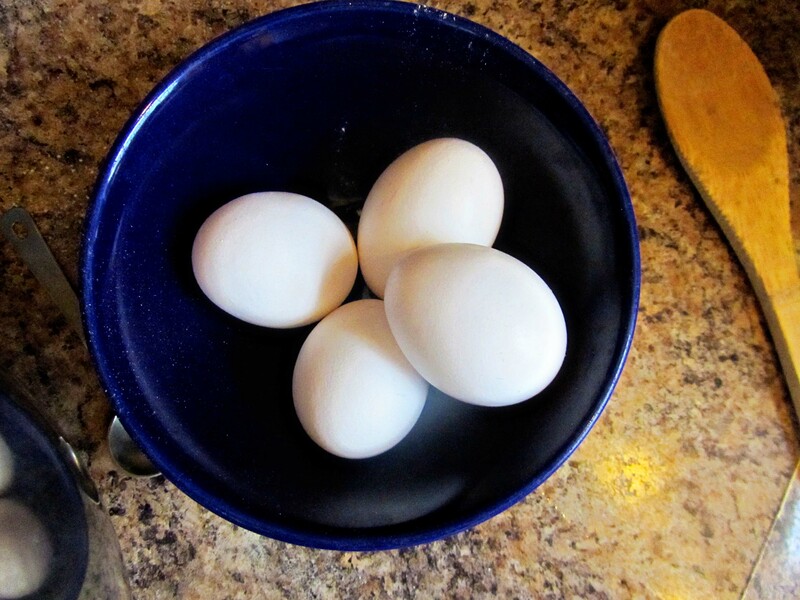 In a separate bowl, crack four eggs, and beat them up. This is about the only thing in life you are allowed to beat up, so do it with determination. In truth, the eggs only need to be lightly beaten, but if the kiddos are driving you crazy, if the Hunni forgot about Valentine’s Day, if the Presidential Candidates are leaving messages on your answering machine all the time, this is where you need to take out all your aggression. Yell, “Let them eat cake!! !” and beat up those rebellious eggs. Because Carrot Cake for Company uses oil instead of butter, my nephew can eat it. I usually like to use corn oil, but here I am measuring Canola Oil. 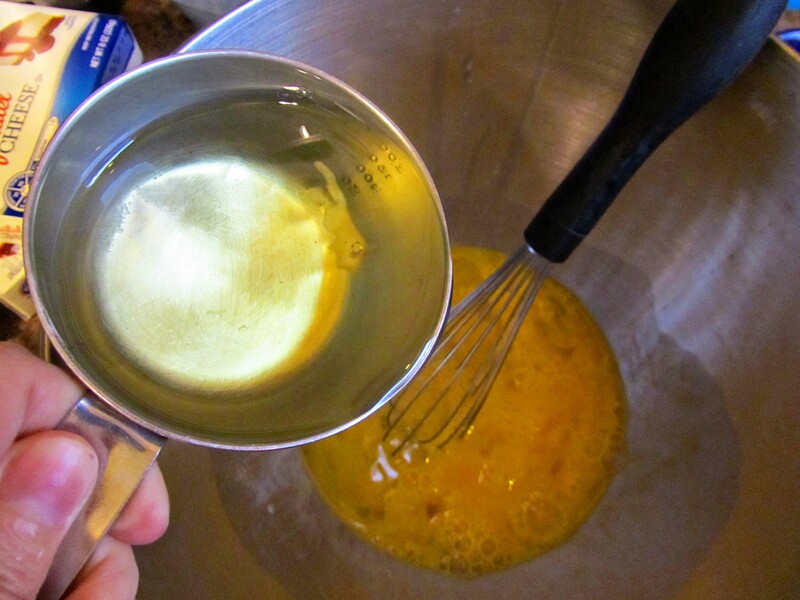 Add 1 1/2 cups of oil to those now well-disciplined eggs. Add 1 T. of vanilla (not the usual 1 t.) Vanilla Extract is basically a vanilla bean soaked in Vodka. Here is a great site to visit to see how to make your own vanilla. Let’s do some math. If a bottle of Absolute Vodka runs about $23 for 750 ml, and 6 vanilla beans cost about $10. You would have a cost of $32 for 750 ml of vanilla. If you buy a bottle of some good organic vanilla for about $6.17 for 118 ml of vanilla, you would be paying $0.05 per ml. For the homemade Vodka/vanilla you would be paying $0.o4 per ml. Costs vary from store to store, and you would still have 5 more vanilla beans to use in you next vanilla making batch, but. . . .somehow when it gets down to a 1 cent difference it hardly seems worth the trouble. Besides, I can just see the looks on everyone’s faces as I check out with four unruly kids and a bottle of Vodka. “It is for making my own homemade vanilla extract,” I would say as I wipe the snoty nose of Little Man, and yell at Eloise about not touching the candy we are not going to buy, and bark at Scout for running the cart over my heel, and grump at LBG (Little Big Guy) for running up and down the grocery aisles. “OH YEAH!” they would say as the wink, “The bottle of Vodka is for making some home-made vanilla extract.” (wink, wink.) I think I will just buy my vanilla extract already made. 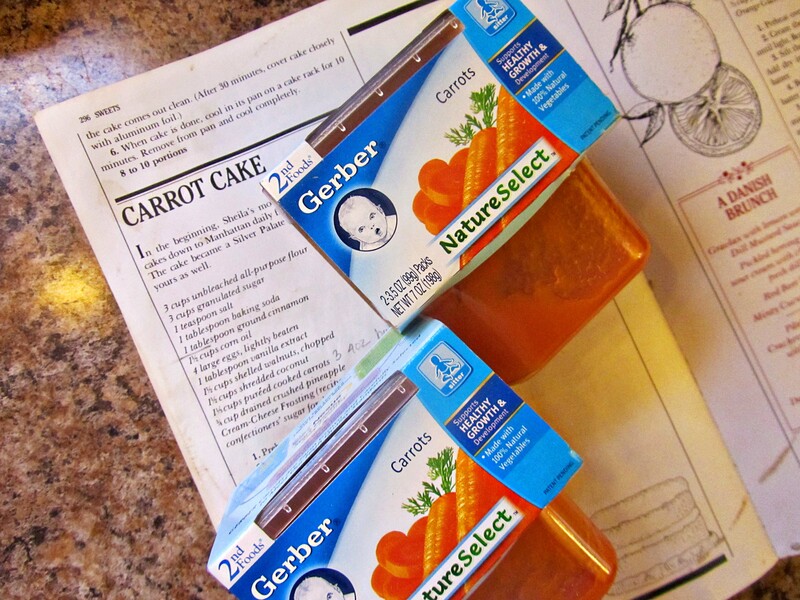 It is time to add the baby food. Come on. You are a believer now aren’t you? Weren’t the smoothies easy and good? Didn’t you like the Breakfast Health Nut Muffins? I jar of Stage Two baby food is about 1/3 cup. 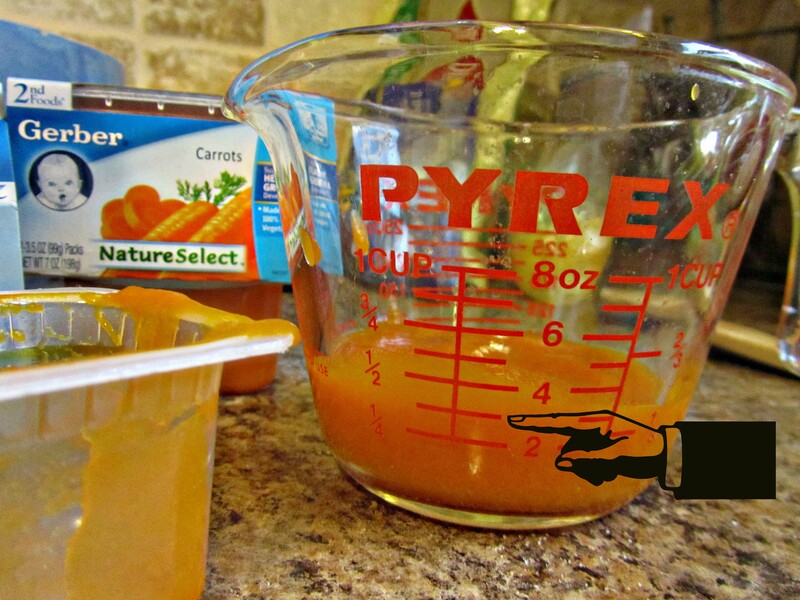 Dump in 4 jars of cooked carrots to get 1 1/3 cups of cooked pureed carrots. This is how much crushed canned pineapple I added. I am guessing that it is about a cup and a half. 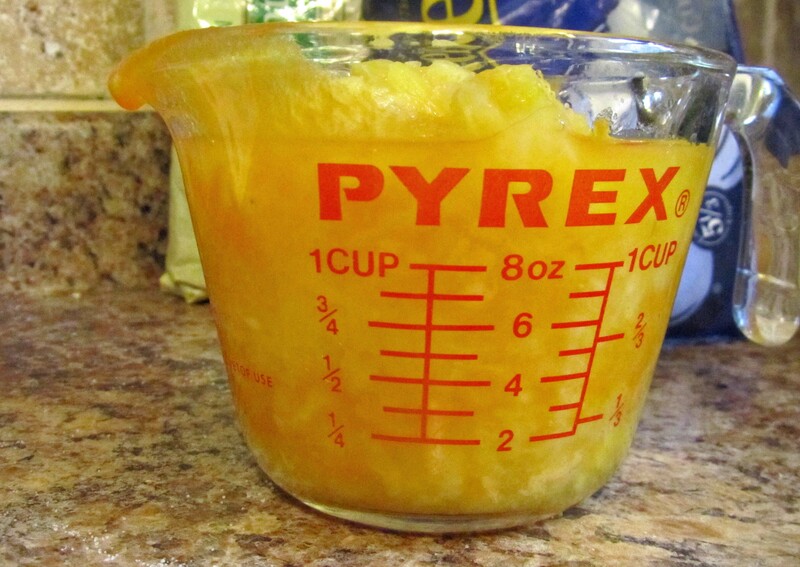 Add this to the rebellious eggs, oil, and cooked pureed carrots. 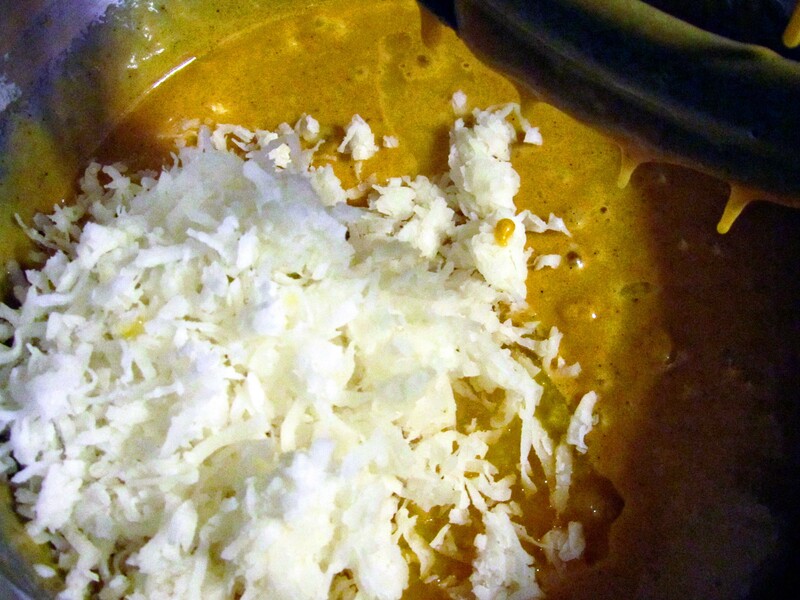 Coconut flakes are optional, but I like about 1/2 cup. Some like more. You could add up to 1 1/3 cups of coconut flakes if you desire. 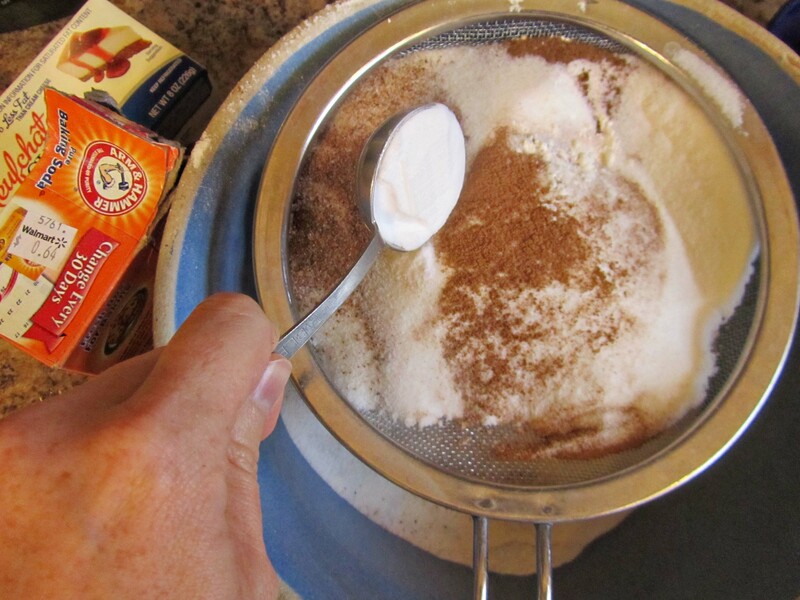 Add the sifted dry ingredients to the wet ingredients. 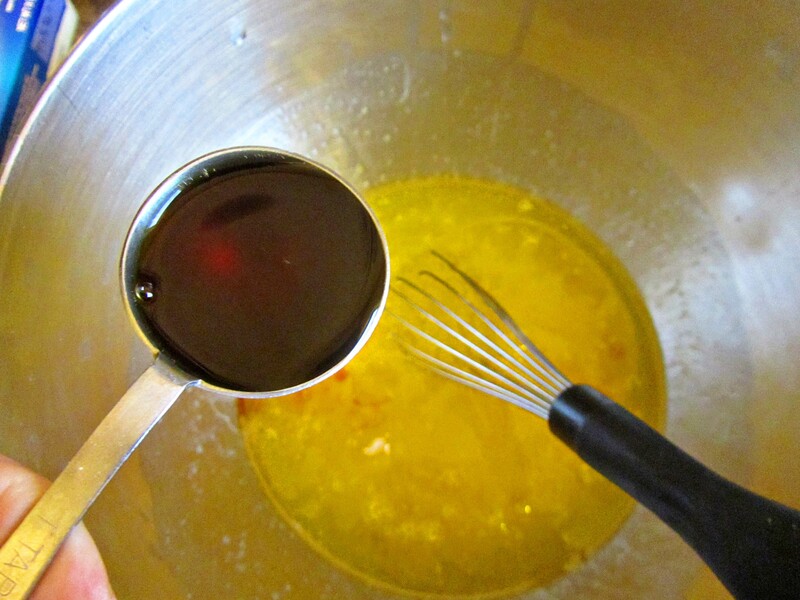 You don’t have to worry about over stirring the mixture, so beat it well. You can get the last of your aggression out here. It is cheaper than therapy, and easier than karate. 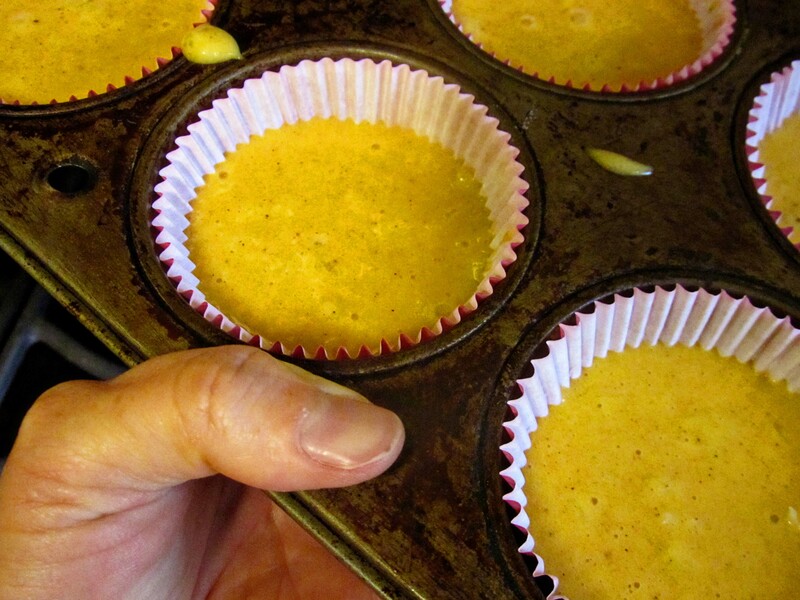 If you want to have some cupcakes that can be frosted with dairy-free frosting fill the cupcake pan first. Don’t worry, there will be plenty left for two cake layers. 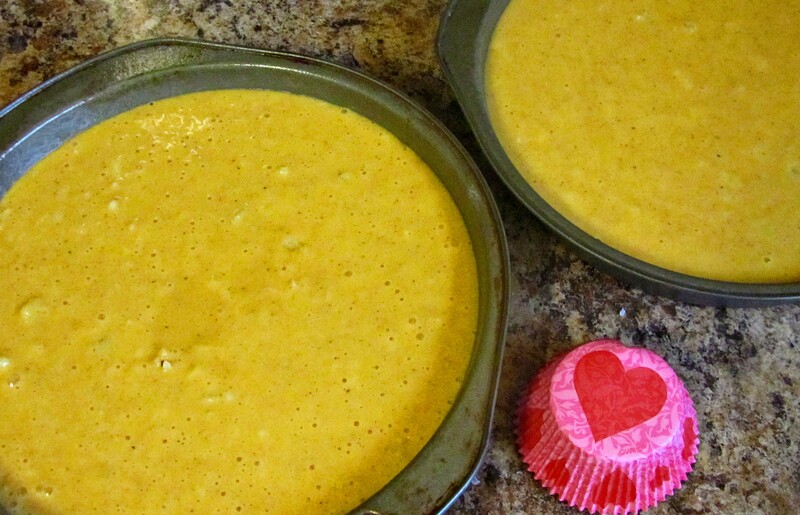 Pour the cake batter into two cake pans sprayed with PAM for Baking (I just love this stuff.) And don’t forget to add some love. ???? Bake at 350 degrees for about 50 minutes to 1 hour. The cupcakes will only take about 20 minutes. While the cake and cupcakes are baking, make some cream cheese frosting by taking your package of cream cheese and a teaspoon of vanilla extract. Beat them up until they are smooth, then add powdered sugar until the frosting is the right consistency to spread. About 16 oz of cream cheese, 1 t. vanilla, and about 5 cups of powdered sugar. 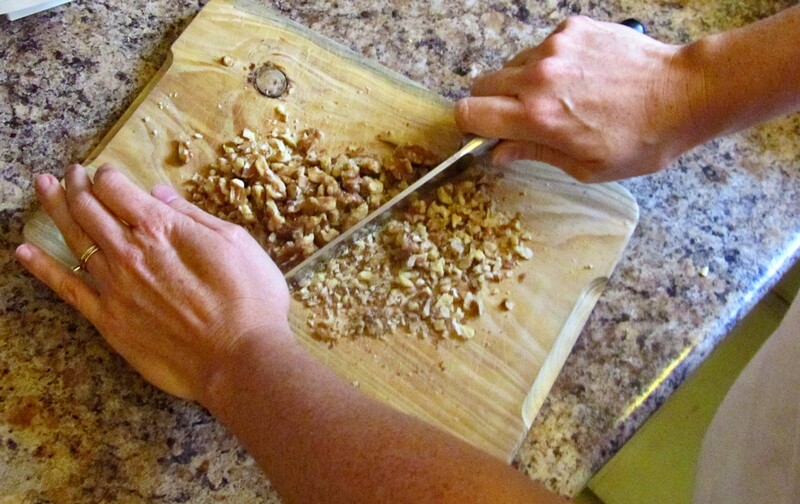 Chop up some walnuts. Since The Hunni and LBG, don’t like nuts in their cookies, banana bread, and carrot cake, I compromise, by adding chopped nuts to the top of the cake. I can even only add the walnuts to half of the cake if some guest can’t have nuts. Cool the layers and frost. 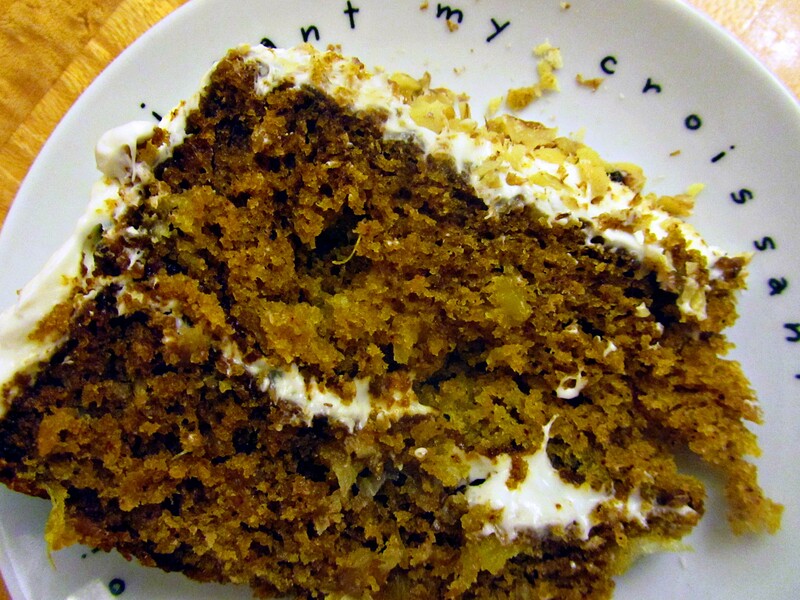 This cake is very moist and oh so perfect for company. And for you. I had fun cooking with you. Thanks for listening to me ramble on about Vodka and baby food in the same post. Thanks for stopping by. I’d love a visit. And if you gave me enough warning, I might even be able to make this Company is Coming Carrot Cake for you. P.S. How do YOU pronounce Nuefchatel? [new-f-shatel] [nuff-shatel] or do you just make up a pronunciation like [enough-chateau] ??? I would love to sound intelligent and learned, so please tell me how to pronounce this word!!! If you would like to order the cookbook “The Silver Palate” click on the blue link. It will take you to Amazon. This entry was posted in Recipes and tagged cooking with baby food, dairy-free dessert, home made vanilla extract, silver palate, soy-free dessert. Bookmark the permalink. 🙂 After all, that’s where I came from! I am making this! It looks so yummy! You make it look so easy too…..we will see if I can!